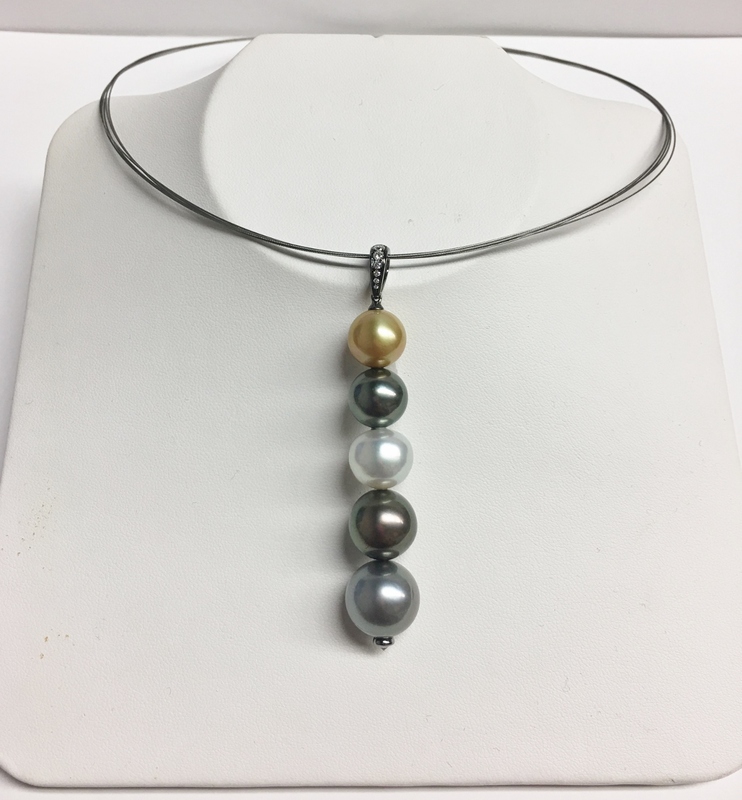 An 18K white gold with black rhodium pendant featured with 1 golden south sea pearl, 1 white south sea pearl, & 3 tahitian pearls. 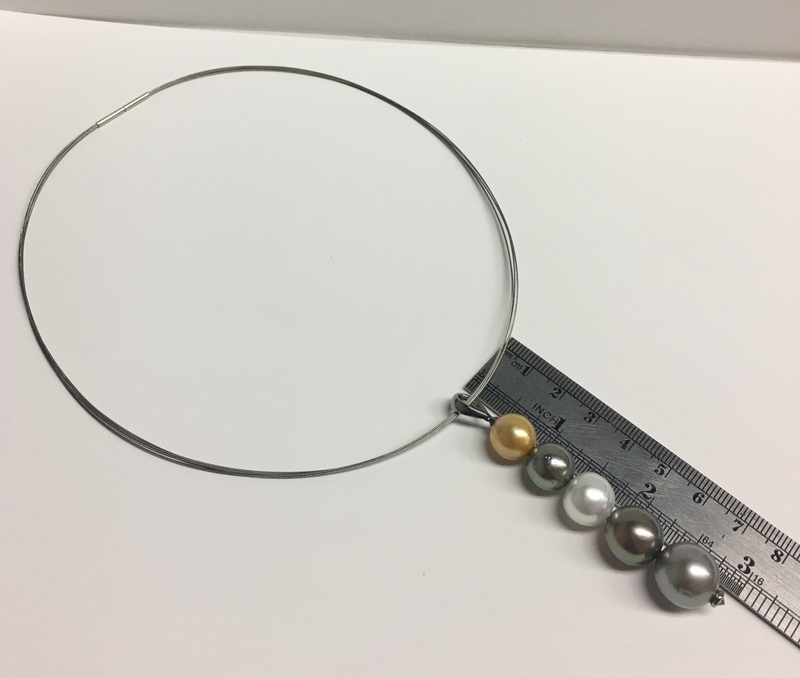 These pearls measure between 10.90 millimeters to 13.30 millimeters. 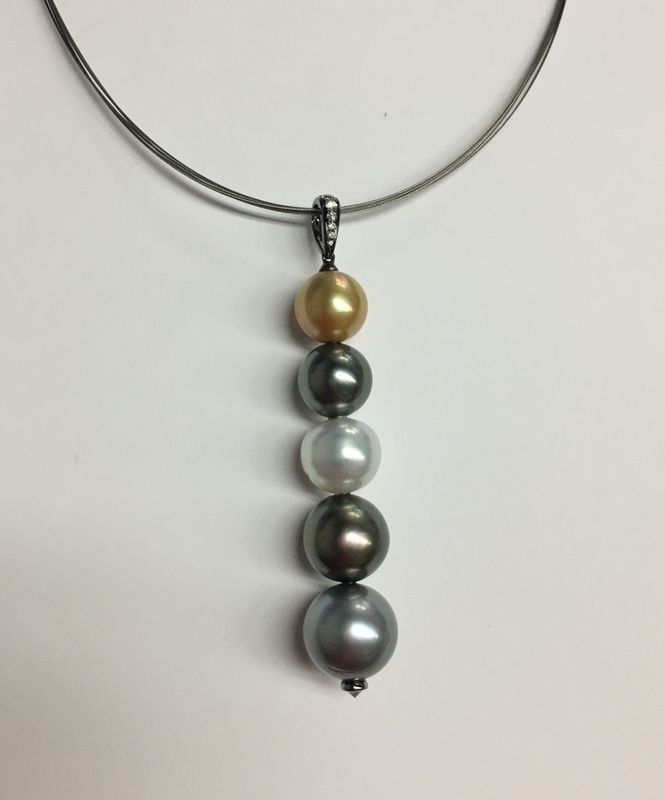 Also set on the pendant are 7 round cut diamonds that weigh approximately 0.15 carats total weight. 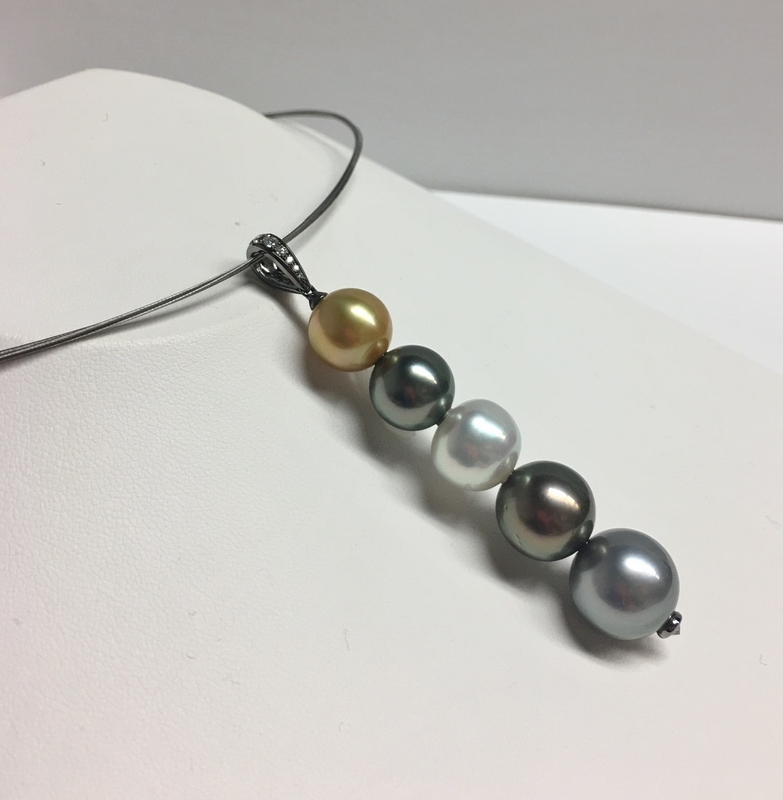 The pendant weighs 13.80 grams and a stainless steel multi-wires necklace is enclosed.